Shark Diver : Shark Diving : Swimming With Sharks: Meet our Great White Shark "Luca Arnone"
Meet our Great White Shark "Luca Arnone"
"Luca Arnone" listed as #163, is one of our recent additions to the photo ID database at Guadalupe Island. We first met him in 2013 and he has been coming back every year since. 2 years ago "Luca" looked a bit rough. He was partially wrapped in a thick rope, which fortunately was being removed by Dr. Mauricio Hoyos, the local researcher at Guadalupe Island. The cut caused by the rope was not too deep and since white sharks have an amazing ability to heal, it did not cause him any permanent harm. When he swam by my a couple of weeks ago, his injury was barely noticeable, with just a faint black mark remaining. "Luca" is a fairly small shark, probably just shy of 12', but he doesn't seem to mind the bigger sharks and is a frequent visitor to our cages. Luca was named by one of our diver, who named 2 different sharks, one after his son, Luca and the other after his daughter Milana. 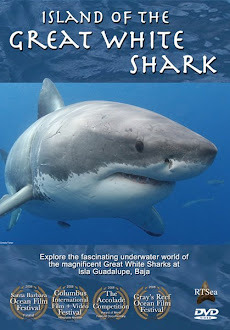 Naming a shark is one way you can support the ongoing research at Guadalupe Island. 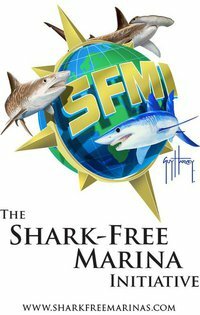 The Marine Science Conservation Institute, "MCSI" who maintains the photo ID has various levels of sponsorship available, including naming a shark. Another way you can support "MCSI" is by coming on one of our "science" trips. A portion of these expeditions goes to fund the research and Nicole Lucas-Nasby, the researcher maintaining that database is coming along as the host. She is sharing the results of her research with you and if we encounter a new shark, you'll also have an opportunity to name that shark. How cool would it be, if you see a shark that you named on "Sharkweek"? If you want to find our for yourself what it's like to come face to face with a great white shark and maybe name one of these sharks, come join us on one of our expeditions. We do have some spaces open and would love to introduce you to our sharks.